Celebrate the past, Build the future.Linix will attend IAAPA Expo. Founded in 1918, IAAPA will celebrate its centennial in 2018. At the same time, somewhere in China, there is a motor manufacturer called Linix Motor is celebrating its 50th birthday. Over the past century, these two organizations have grown up separately and will meet in Nov.,2018, to celebrate the past, and build the future together! Connect each other, know each other is always the best wish of Linix. 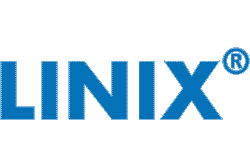 Distributors all over the world are the members of Linix family who have been always in the forefront of brand promoting; they are friends we would like to connect with in the first place. Linix has always been thankful for all the distributors. As implementation of Distributor Incentive Policy of Linix, we will invite one of our distributors whose sales has reached to more than ten millions(RMB), take part in the Expo together with Linix team. Embrace the chance and challenge together! Hereby, we also warmly welcome motor distributors all over the world to join in Linix family, strive for the bright future hand in hand! Expo Address: OrangeCounty Convention Center(OCCC), North and South Buildings, 9899 International Drive, Orlando, FL,US. Brief Introduction: As the world's oldest professional exhibition of video game,entertainment industry, IAAPA Attraction Expo has been held for over 90 years. For exhibitors and purchasers, both hardware and software equipment planning are the best exchange and trade platform for the global entertainment industry. The exhibition covers a wide range of products, including theme park rides, aquatic rides, related products of tourist parks and attractions, theater facilities and peripheral products, dolls, computer systems/software, participatory playground equipment, etc.